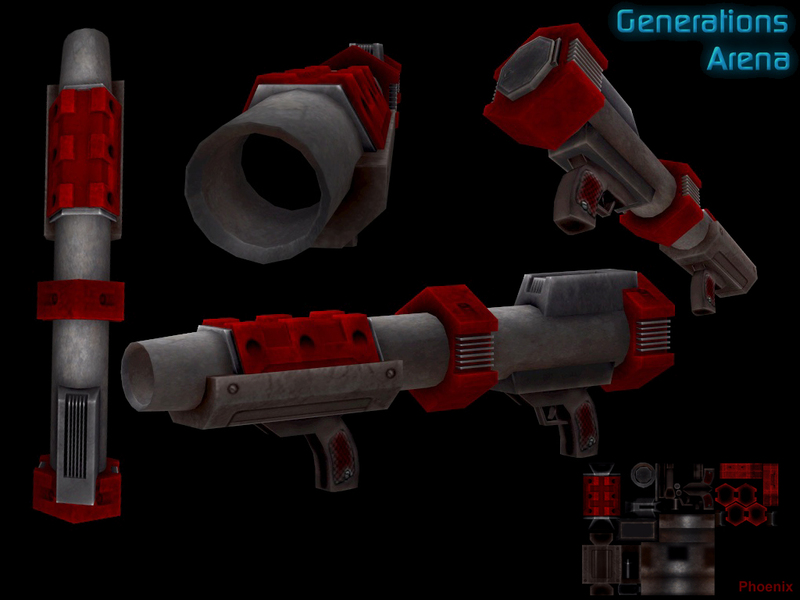 Description : This gun thumps out exploding bombs that attach to walls, floors, or ceilings and wait for some hapless victim to stray into their sensor range before exploding. The sensors aren't very sophisticated, so don't go near them once placed or you'll find yourself caught in the blast. Mines will explode when shot, after a short time, or if they score a direct hit on something. They also don't discriminate against other proximity bombs once active, so be sure to space them out for maximum effect - or lob one into someone else's cluster of mines to sweep them clean. In Teamplay, the bombs have more advanced sensors and won't trigger if you or a teammate go near them, and are painted to match your team's color. Lob them into invulnerability spheres for extra gibbiness. Shares ammo with the Grenade Launcher and Rocket Launcher. Special Features: Lies in wait for its victims, juicy.